Join our blog discussions. Read news and information on real estate trends in national markets and happenings in our local Atlanta communities in the Buford, Lake Lanier, Braselton, and Flowery Branch, Georgia neighborhoods. Stay connected with us here and on social media for current resources and entertainment events in greater Atlanta, Georgia. Inventory Levels in Metro Atlanta-Gwinnett, Fulton, Cobb, Dekalb, and Forsyth. 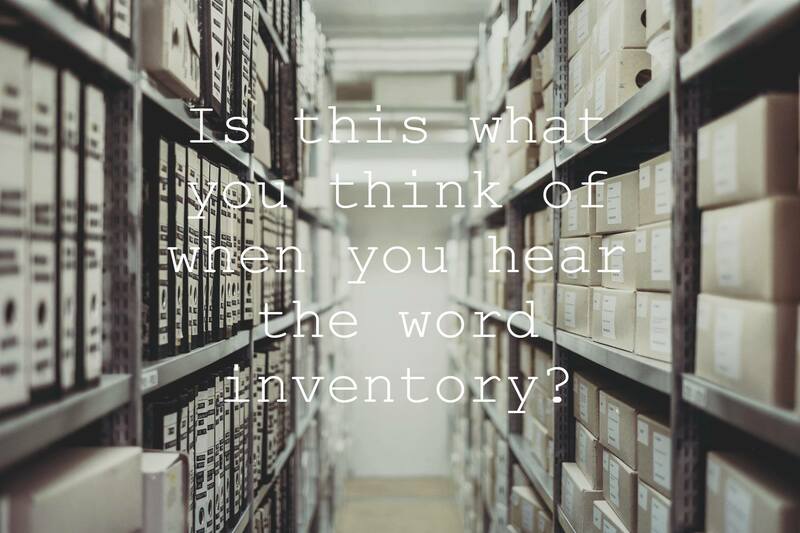 In Real Estate the word "inventory" describes amount of time it would take to sell EVERY available home on the market at that time. As we were looking at the latest stats from GaMLS, we noticed that some of Metro Atlanta's biggest counties have unprecedentedly low inventory rates. Forsyth is at 3.62 months of inventory, Fulton at 3.58, Dekalb 3.03, Cobb 2.73, and Gwinnett at 2.85. Just as a point of reference, 6 months is considered a healthy and balanced market. The buyers are out there looking and ready to buy, but right now there aren't many homes available for them. This is causing a bit of a sellers market in our area. Homes are selling quick and if priced correctly for list price and sometimes even more! If you have been on the fence about whether or not now is a good time to sell, give us a call. We would love to discuss the market in your neighborhood and your particular circumstances, to see if maybe we can help you take advantage of this sellers market. Give us a call today at 678-546-7387. State and federal laws are strict in requiring sellers to tell what they know about the condition of their homes that isn't obvious or discernible to potential buyers. Buyers can't see behind walls or under houses. they rely on truthful information from the seller about the operations, appliances and systems of the home. Remember, if you do not do the repairs most likely the buyer will discount the offer, if he makes one at all. Homes in the best condition sell the best. To get an idea of the types of questions you'll be asked in a disclosure contact me at Virginia@AtlantaHomeConnections.com. Has the buyer been pre-qualified or pre-approved by a lender? Meeting with a lender before looking at homes does not usually guarantee that financing is absolutely, unquestionably available -- a loan application can be declined because of appraisal problems, title issues, survey findings, and other reasons. However, buyers who are "pre-qualified" or "pre-approved" (these terms do not have a standard meaning around the country) at least have some idea of their ability to finance a home and know that they are likely to qualify for certain loan programs. The result is that pre-qualified buyers represent less risk to owners than a purchaser who has never met with a lender. If the seller accepts an offer from a buyer with unknown financial strength, it's possible that the transaction could fail because the buyer can't get a loan. Meanwhile, the owner may have lost the opportunity to sell to a qualified buyer. The lower the interest rate, the larger the pool of potential buyers. More buyers equal more potential demand, good news for sellers. Alternatively, high rates or even rising rates may drive buyers from the marketplace -- and that's not good for anyone. It used to be that down payments were a major financing hurdle -- but not anymore. For those with good credit, loans with 5 percent down or less are now widely available. In fact, 100 percent financing, mortgages with nothing down, are now being made by conventional lenders. Reduced down payment. Contact us NOW at Atlanta Home Connections, we can help and there is no cost to you! Visitors to U.S. Army Corps of Engineers parks on Lake Lanier this season may notice some subtle, but nice improvements. Crews worked over the winter to get parks ready for the millions of visitors expected this spring and summer. Operations Manager Tim Rainey listed numerous maintenance projects completed, including stone veneer installations at on gatehouses at Lanier and Van Pugh North; painting of restrooms at West Bank, Van Pugh North, Bolding Mill, Old Federal, Vanns Tavern, Lanier, Sardis Creek, Thompson Creek and Lower Pool West; plus metal roofing at the Old Federal gatehouse, Thomson Creek shelter, and Van Pugh South shower house. Gwinnett Home Prices for February are In! From February 2015 to February 2016, the median sales price of single family homes in Gwinnett increased from $185,750 to $200,000 which represents an increase of 7.7% while the average sales price from the same period increased from $212,365 to $232,091 representing a 9.3% price increase. Comparing February 2015 to February 2016, the number of homes listed for sale increased by 1.2% while the number of homes sold decreased by 5.8%. 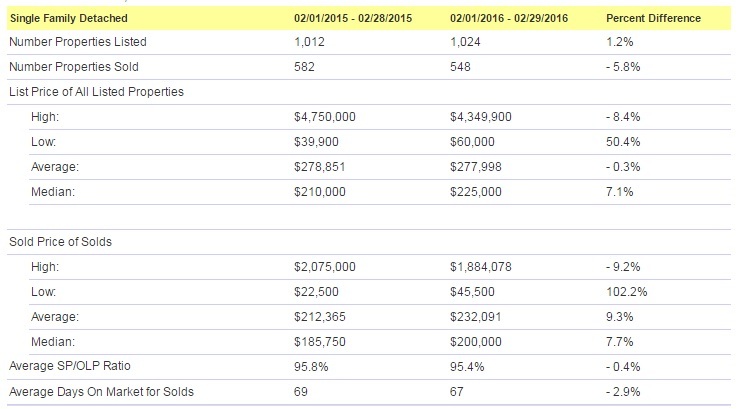 This would generally indicate a stronger Buyer's Market for 2016 over 2015. However, the lack of currently available inventory will continue to drive home prices higher in 2016. The decline in the average number of days on the market for for sold properties (from 69 to 67) also reinforces a strong Seller's Market for 2016. With the limited supply of homes on the market, along with a strong buyer demand, we can expect to see a continued rise in home prices in Gwinnett for 2016. Why Rent...When You Can Own? It is amazing the number of renters that think they can not own a home when they actually can. Many buyers cite the lack of a down payment as the reason for not buying. However, there are two major federal loan programs (USDA Loans and VA Loans) that do not require a down payment whatsoever. Some renters cite the lack of credit to purchase a home. However, FHA loans allow loans with credit scores as low as 580. If you have a bankruptcy, foreclosure, or short sale on your credit, the waiting period to purchase again is usually only 3 years but in some cases (VA Loans for Veterans) can be as little as 2 years. Also, many credit issues that may be holding down your credit can be removed or modified possibly at little or no cost to you.. Inaccuarcies and unverifiable information on your credit report can be disputed and removed. Other issues can be resolved with a quick phone call to the creditor or a settlement for cents on the dollar. Recent changes to credit scoring models have reduced the impact of medical debt on credit scores. Others cite affordability as a a reason not to purchase, yet most renters can own the same home they are renting for less than their current rental payment. With interest rates around 4%, affordability is at all time highs! What is holding you back from your home purchase? A quick phone call to Atlanta Home Connections easily be one of the best decisions financial decisions you ever made! When The Flowers Start To Bloom, Buyers Start To Loom! Signs of spring are already here in Atlanta, even though it is still about 2 weeks away. 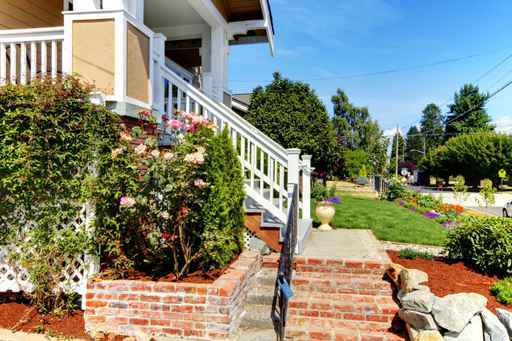 As far as the real estate market is concerned, the flowers are blooming, and the buyers are looming! The housing market is already showing signs of "Springing Forward". The lack of homes available for sale this winter has caused home prices to rise much faster than normal. The lack of home inventory has many buyers just waiting on the sideline for the right home with the right features to hit the market. For those sellers that are willing to put your home on the market today, you will most likely benefit from a very quick home sale as the average days on market for Gwinnett homes is very low. For buyers, NOW is the time is now to purchase a home, you do not have time to waste. If you are looking to avoid the summer sales rush and the usual summer uptick in home prices, you should of had your offer in yesterday. Waiting on the sidelines will most likely result in both higher home prices and higher interest rates for the foreseeable future. 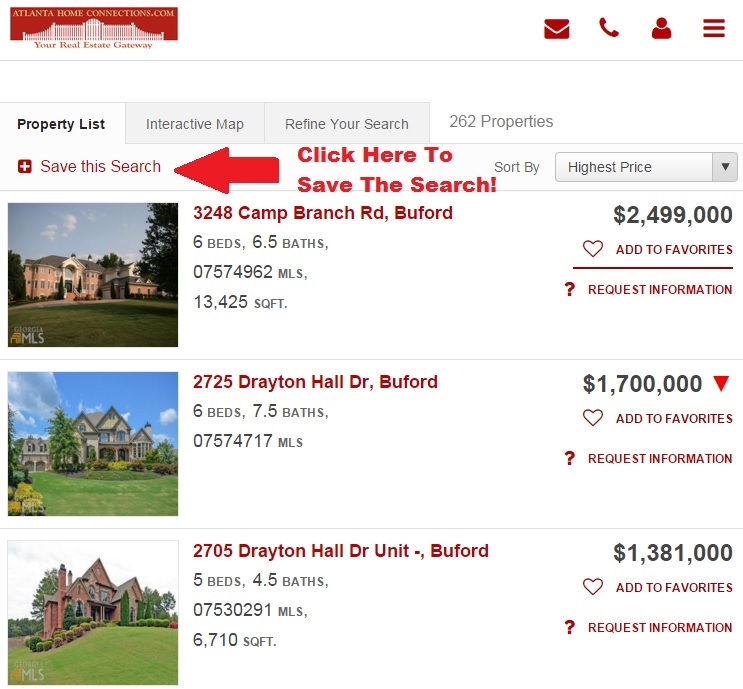 Now you can search the MLS like real estate agents do....and our website does all of the work for you! Simply conduct a real estate search on our website. Once you are on the results page, click the "Save This Search" Button (see below) and then register with your contact information and email address. You will instantly begin receiving a daily email alerts with all new and updated listings that match all of your home search criteria! There will be no more wasted time looking at out-dated properties and searching the internet. Priority access means you're there first before other buyers, so you can negotiate the lowest possible price and your time is not wasted viewing homes that are already off the market or that don't interest you. Click Here To Get Your Search Started! The 5 Most Expensive Homes in Gwinnett! If anyone wants to purchase one of these homes, we would love to represent you throughout the home sales process at no cost to you! 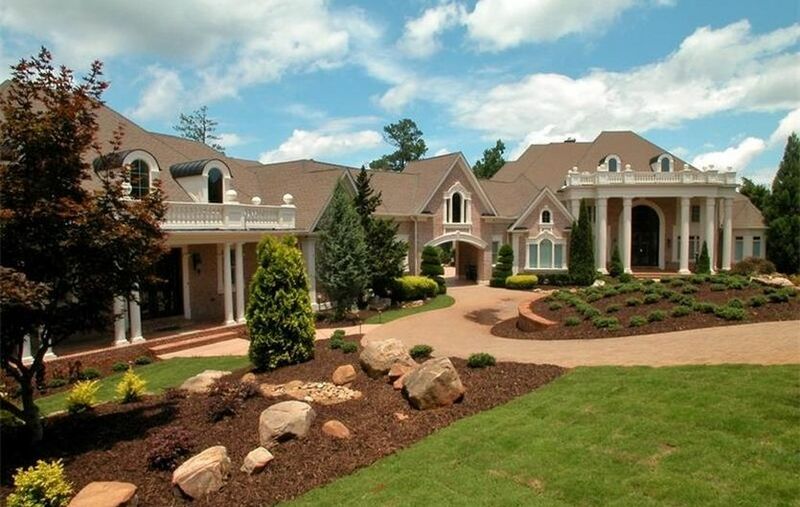 Here is a link to the list of the 5 priciest homes in Gwinnett! Conventional 30-year fixed-rate mortgage rates dropped have to 3.62% nationwide, on average. Rates are now the lowest in 55 weeks. Rates had been forecasted to reach over 5% this year, but with recent economic woes, rates are actually dropping. As mortgage rates drop, home buyers are now able to purchase "larger" homes than they otherwise would have been able to qualify for previously. If you've been deciding whether it's a good time to buy a home and lock in your mortgage rate.... the answer undoubtedly is "yes"! I Specialize in Real Estate Foreclosures and Short Sales in Buford, Lake Lanier and the North Georgia area, and carry the designation, REO (Foreclosure) Specialist and CDPE (Short Sale Expert). To assist homebuyers in the purchase process, I work with bank and HUD properties. My advanced training in BPO’s (Broker Price Opinions) along with market finance options enables me to assist homebuyers to purchase and lenders move properties. Today’s homebuyers and sellers need to be certain to work with real estate professionals who are completely up-to-date on the foreclosure marketplace and who are committed to providing the best knowledge and advice available. I can help to advise you how to avoid foreclosure and stay in your home, too.